So you're a professional athlete or support staff. All that matters is being the best, and you will sacrifice everything to get there. Good. Now while you're busy being the best, come and get your degree and stay at the top for the rest of your career. The BA Business and Enterprise in Sport was designed specifically for you. 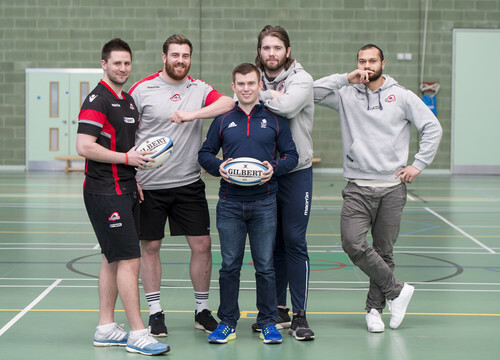 Find out more about what it's like to study for your degree while you compete at the top level of your sport. Is it really possible to be an elite athlete and study for a degree at the same time? Yes, it's possible. We don't think you should have to choose between following your passion and providing yourself with options for the future. We believe that you can compete to the very top level of your sport and invest in your future at the same time. 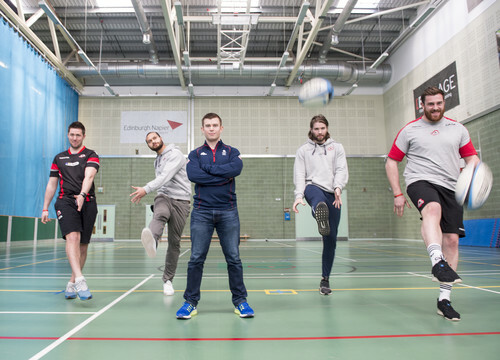 Our current on course students range from Olympic Silver medallists to international rugby and football players, and all of them are successfully completing their modules while competing at the very top level of their sport. I’m too busy training, I don’t have time to study for a degree. It is challenging to study for a degree alongside your training. The students on our course tell us that time management is the most important skill they have learned in order to study and train effectively. Completing your degree while training will demonstrate to your future employers or investors that you are organised, efficient and effective, and can manage multiple projects at once. These are skills seen on almost every person specification for jobs in the business world and beyond, and will be a necessity for success in your career after competing. My training and competing takes me all over the world, I’m rarely in the same place, how can I commit to a three year degree? The BA Business and Enterprise in Sport degree is entirely online. You will never need to come to campus, Edinburgh or even the UK throughout the whole of your degree. We’ve done this because we know that professional sport is a global business, and we want you to be free to pursue your career wherever in the world it takes you while you are achieving your degree. We’ve currently got students on the course everywhere from Australia to Sweden. Can't I just worry about that when I’ve finished my athletic career? You can. But careers as an elite athlete can be unpredictable and sometimes short. We also think that competing as an elite athlete you are acquiring highly valuable and unique skills that are valuable in the business world once you have retired, and we want to give you the guidance to help you identify and maximise those skills, so you’re making the most of your development as an elite athlete at the time, and you don’t have to sit down and try and look back on them once you’ve finished. What if I start it and I can’t manage? You can choose how many modules you take per trimester. If you know you have a big competition coming up you can drop down to one module or no modules for a trimester, and build back up to two when you know you will have less competition pressure. Our programme leader Tom will pay close attention to your progress while you’re studying with us. If you feel you are struggling or aren’t managing, he will be available to talk to you via email, phone or skype and can provide extra support. You will also have all the support our on campus students get, including access to a named articulation advisor, who is a specialist consultant that’s experienced in helping people transition into higher education. You will also have access to our student counselling and advice services. On a financial level, you pay for the degree module by module, so you don’t need to commit to the whole degree before starting. When they came to campus we pitted some of our on-course athletes against each other. 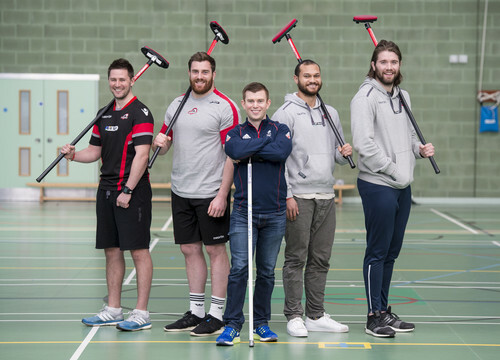 We put Olympic Curling Silver Medallist Greg Drummond against Edinburgh Rugby players Ben Toolis, Will Helu and Simon Berghan, and support staff John Spencer. Greg taught the rugby players some key brushing techniques, while Greg got used to the high-life in a line-out. Getting to know athletes from different sports on our online chat forums and building a network of motivated and like-minded athletes is a big benefit of studying while you are still competing. These networks could help you launch your own business or get you the job you want once you've retired. Find out about entry requirements, fees and how to start the next step in your career. When the time comes and I am no longer an athlete, I have ambitions to continue working in the sports industry and the completion of this degree will help me along the way.